FBN’s Charles Payne on how Retro Fitness CEO Eric Casaburi turned his passion into a successful franchise. In this Salute to American Success, we’re taking a look at Retro Fitness and founder Eric Casaburi. The New Jersey-based franchise operates gyms in multiple states and offers lower cost membership fees. The company was also featured on “Undercover Boss” in 2013. A college dropout, Casaburi’s passion to stay fit and strong work ethic have propelled Retro Fitness to success in the fitness industry.THE EARLY YEARS Born and raised in New Jersey, Eric Casaburi always had a passion for fitness. He started working in gyms as a teenager, cleaning up locker rooms and gym floors. A few years later, Casaburi’s mother passed away after a battle with cancer, an event that had a deep impact on his life. Soon after, he started competing in body building contests. Casaburi went on to study exercise science at Arizona State University. Throughout college, he continued working at gyms, but ended up dropping out of school to follow his passion for fitness. 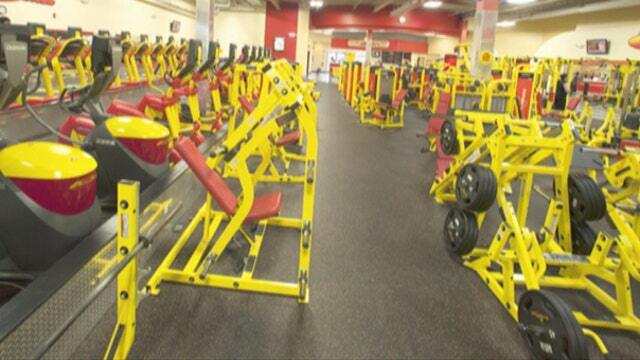 Today, Retro Fitness operates more than 130 gyms in 14 states. Additionally, the company has about 100 gyms in the development pipeline. Even Casaburi himself still owns two gyms.